Completely enclosed unit with heavy steel construction. Choice of hand crank or electric lift. Call for other sizes available. 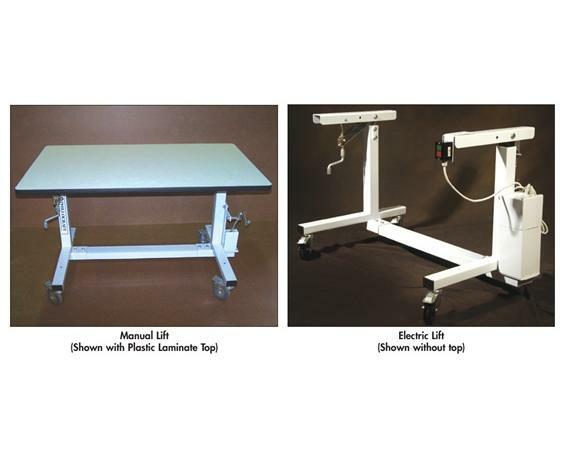 Flexible ergonomic workstations have a height range 30-46" to easily adjust from sitting to standing height adapting to the dynamic workplace. 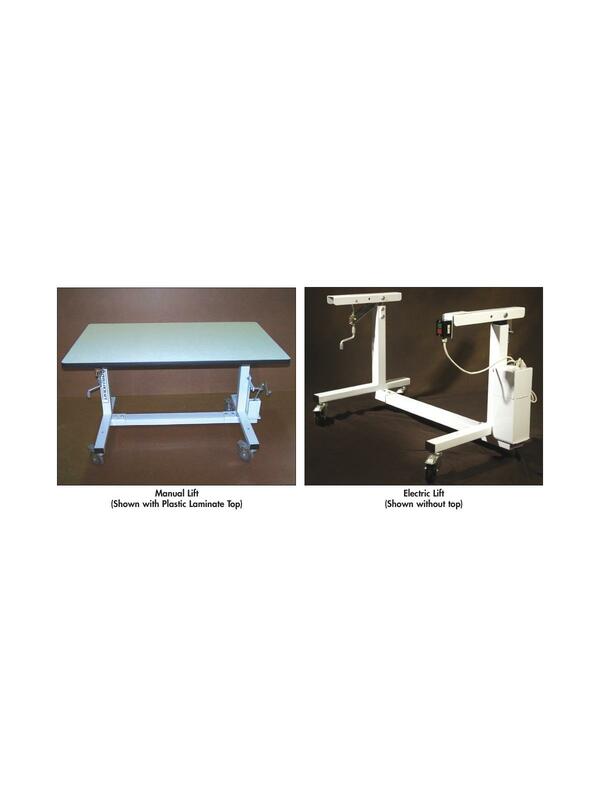 Features a 26" bottom rail, 18" top rail and measures 37-1/2" center-to-center. Comes with hand crank on manual models, or push button control and a powerful 220 volt single phase motor on electric models, providing a 600 lb. lifting capacity. Features include direct drive chain and sprocket mechanism, white powder coat finish, and locking swivel casters. Manual tilt allows operator adjustment up to 15° forward and 8° backwards. Frames and tops available in custom sizes -- call for details. Shipped KD. FOB Shipping Point. Frame and tops sold separately.